It all started with one small greenhouse... which quickly turned into two, that became three... and these days we fill 15,000 square feet with beautiful plants every spring. We grow a large variety of annuals and perennials along with vegetables and herbs. Our patio pots and baskets make it easy to add a pop of color wherever you need it. Every year we add more new varieties just to keep it interesting. We're busiest in the greenhouse during the spring, but the growing doesn't stop there. 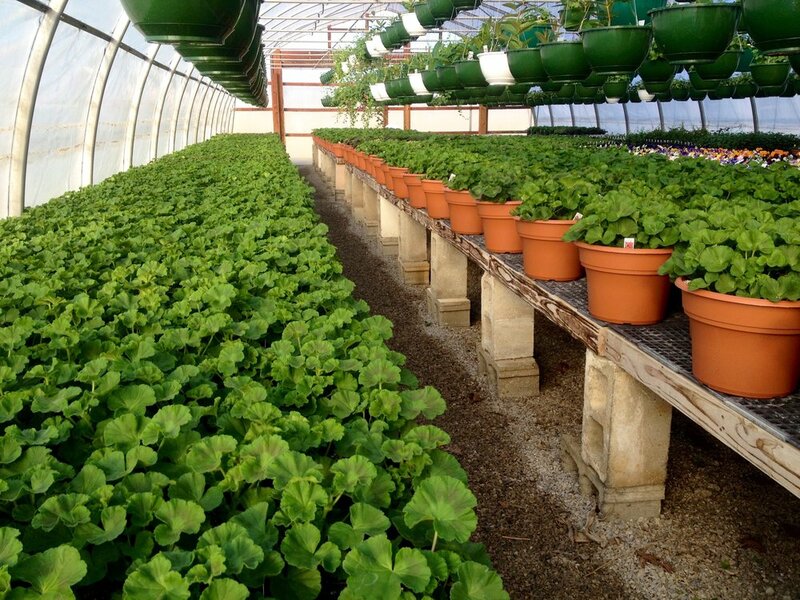 Most of our produce comes from vegetable plants started in our greenhouses including our tomatoes, melons, and peppers. Plus we grow thousands of mums and asters to go along with our pumpkin crop in the fall. We hope you'll stop by, but in the meantime please enjoy browsing through the pictures below.